The dark nights of Samhain have almost came to an end but the nightmare of Osan Marach is not over yet! 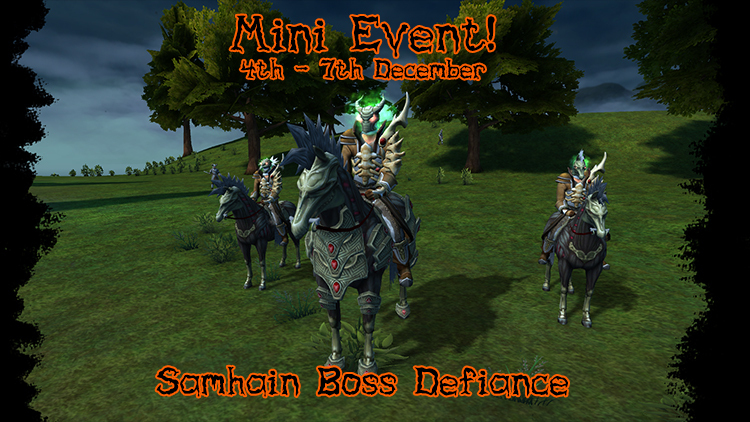 From Midday Friday 4th all the seasonal boss spawn timers have been boosted to 1/3 of their original timers! 3x more Spawns! More chances to complete sets and send Osan Marach back into the darkness! This event will end Midday Monday 7th so prepare to fight! Server restarts in [TIME] so finish up your bounties, bosses and quests. ‹ Competition: Caption This! Win Free Platinum!